New anthology featuring 2 of Justin's short stories! 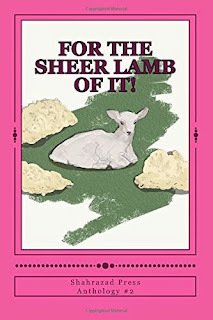 Shahrazad Press of Berkeley, CA, has just published the second issue of its short story anthology, entitled For the Sheer Lamb of It! The anthology features two of Justin Chapman's short stories, "All It Takes" and "Rise." Buy it here for $10. The first issue, also featuring a short story by Justin (called "The Devil's Breath") is titled My Keys Don't Know Where I Am!!! It is available here, also for $10.